It has been a year since Congress passed President Trump's tax cuts, and the United States leapt from a back-of-the-pack 35 percent corporate income tax to a competitive 21 percent. Together with other provisions, such as changes to tax write-off rules and a one-time tax break for capital repatriation, the bill helped boost economic activity during 2018. However, as the first anniversary of the tax reform comes and goes, people seem to be surprised that the tax reform has not had a stronger effect on the economy than we have seen thus far. The observation of moderately positive growth is valid, but the surprise is not. There are simple and obvious macroeconomic reasons why the effects of the reform could not be stronger than they are. While annual growth reached three percent in the third quarter, it will take a strong fourth-quarter finish for the economy to deliver three percent for the whole year. The last president to govern a 3+ percent growth economy was Bill Clinton. 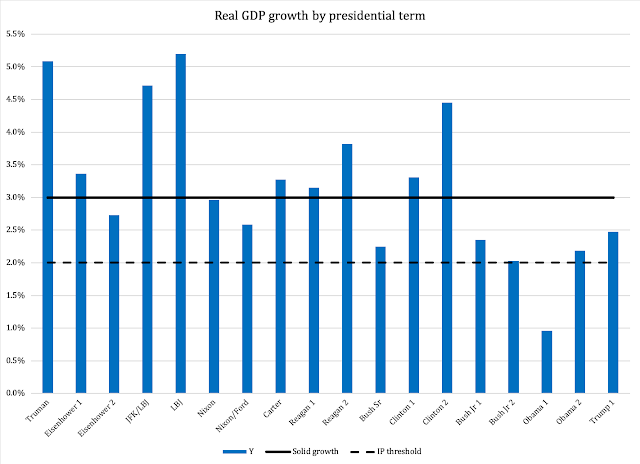 He was also the last president to see 4+ percent growth in a calendar year. 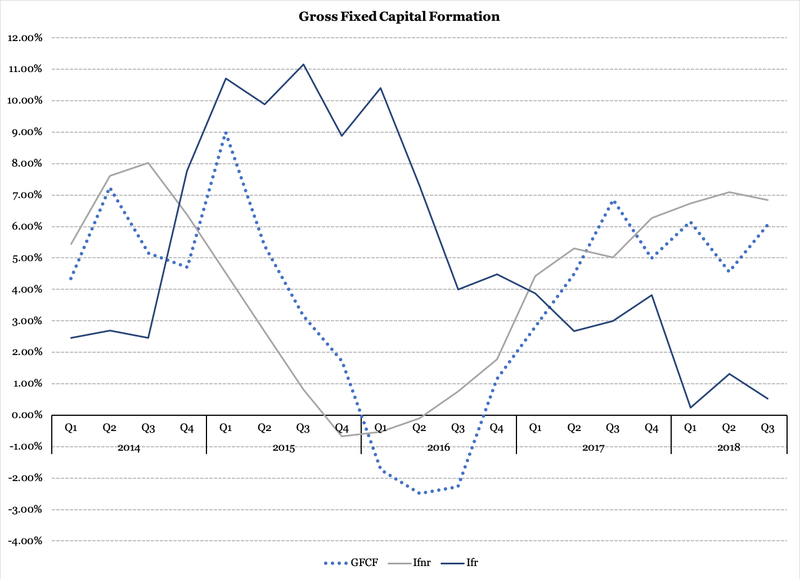 In other words, since Trump was elected, gross fixed capital formation - business investments - have been important in driving the U.S. economy into a higher gear. This is good, of course, but it is also far from sufficient to keep the macroeconomic momentum going for very long. 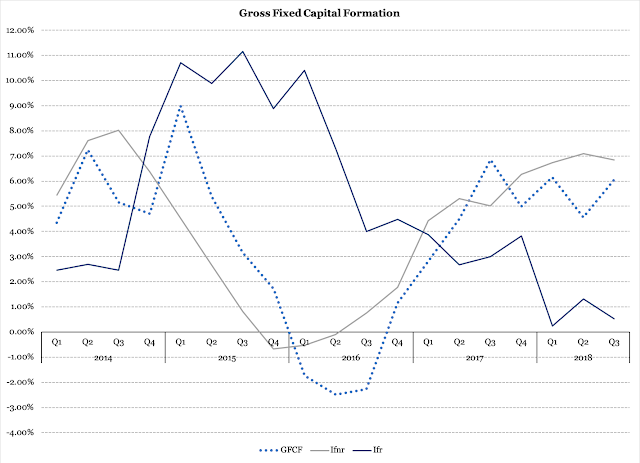 The reason why the Trump tax cuts have not delivered more in terms of growth is that gross fixed capital formation is simply too small a share of GDP to make a major difference. If the same tax-cut package, fiscally speaking, had been applied to the personal tax side, the growth effect would have been much stronger. Since private consumption is almost four times bigger than business investments (capital formation) it is almost self-explanatory that $100 worth of tax cuts for corporations will have a much smaller impact on the economy than $100 worth of tax cuts for households. That is not to say this was a wasted tax reform - quite the contrary: American businesses needed a more competitive tax environment. The problem is that people made hilarious expectations about what kind of growth it would generate. 1. The decision process involved in kicking off the multiplier is far more simple and straightforward than it is for the accelerator. Plainly: the multiplier depends on individuals and families making decisions over the dinner table, while the accelerator depends on business executives in a strict hierarchy, where long-term financial commitments have enormously bigger repercussions than for individual households. Therefore, the decision process from, say, a cut in business taxes to increased investments is longer and more complicated than the decision process from, say, a cut in federal personal income taxes to higher consumer spending. 2. Business investments are profitable only when expected sales will deliver a sufficient margin on future production. If a business increases investments without an expected increase in sales, it is by definition increasing its exposure to risk. A tax cut that only focuses on businesses will make some investment projects profitable that were not profitable before, given demand for the products that businesses provide. However, There is only a limited amount of such projects at any given point in time, and when those have been exhausted through increased capital formation, business investments will once again return to its previous rates. 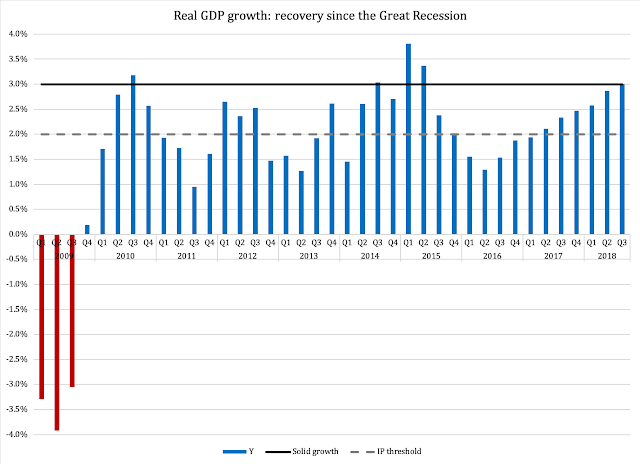 The second point is the most important in explaining the performance of the U.S. economy in 2018. Businesses have now updated their capital stock to a point where all profitable projects have been explored and exploited. To get further in terms of growth, we need a substantial downsizing of government, and major reductions in the tax burden on America's families and small businesses that file under the personal income tax code. a) Structural spending reforms that permanently reduce the spending commitments of the federal government. A good start is to hand over Medicaid to the states. b) A cut in personal income taxes. As things are today, the 25 percent of personal-income taxpayers who make more than $100,000 pay 80 percent of all federal personal income taxes. This means that they pay about two thirds of all federal taxes. Ease their burden and they will start spending. c) A cut in corporate income taxes. This should be announced simultaneously with the cut in personal income taxes, but timed to go into effect a year later. The timing sequence under point (c) is important. I will have to get back to it in a later article; for now, let us celebrate the Trump tax reform and not bash it for having done less than some people expected.